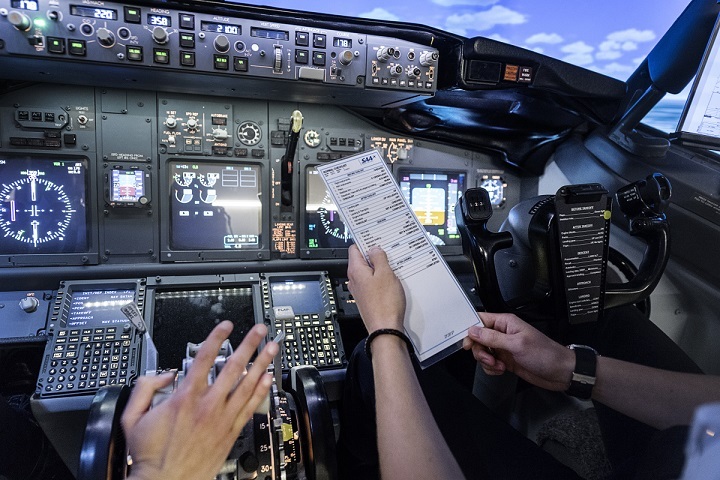 The First Officer Program will take you from little or no flying experience to having all the licenses and ratings you need to work as a First Officer for European airlines in 20 months. 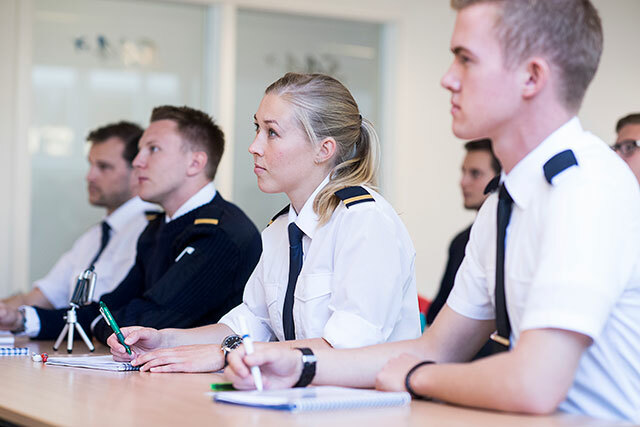 The First Officer Program (FOP) is a comprehensive integrated flight training program where theory- and flight lessons are mixed, giving you an exciting balance between academic studies and hands-on flight experience. In the first stages of flight training, you will be conducting all of your flights in Visual Meteorological Conditions (VMC), flying by the use of outside reference and a map. In the early stages, the main focus will be on mastering the four fundamentals of flying (climbs, descents, turns and flying straight-and-level). As you progress you will start learning how to land the aircraft and become proficient enough to do your first solo flight. The following stages will further increase your skills in navigation and more complex maneuvers. You begin to fly further away from your home base and become increasingly confident in handling the aircraft. In the second semester of your training, you will start practicing what is known as instrument flying. This means that you will fly in and above the clouds, or with a view-limiting device that only allows you to see the inside of your cockpit. The goal of this stage is to enable you to fly the same way airliners operate, following "roads in the skies", pre-defined routes used for flying under Instrument Flight Rules (IFR). Towards the final stages of your flight training, you will upgrade to a twin-engine complex aircraft. As soon as you master the basics in this aircraft much of the training focuses on handling different abnormal procedures and emergencies. You will be trained in flying with only one of the two engines operating and become even more proficient with problem-solving in demanding situations. At the very end of your initial training, it is time for the Multi Crew Cooperation course and the Airline Preparation Course (Advanced JOC). In this stage, you will work side-by-side with one of your classmates. Working as a team and solving complex training scenarios is one of the favorite parts of the training for many students. At OSM Aviation Academy we utilize the Oxford ATPL(A) books for the theoretical part of the education, along with our own Distance Learning System (DLS). During the program, you will study 14 subjects divided into three semesters. In addition, you will learn about the core competencies of a professional pilot through instructor-led briefings, own responsibilities, and flight training. The subjects you will study during your training program are divided into three phases. Last day to apply is two months before the course start date. We recommend sending in your application as soon as possible to secure a spot for your desired course start. You can find more information regarding cost, pre-entry requirements, and training content by downloading our brochure. *If you are lacking the physics course from High School you can do a 2-week full-time physics distance course at OSM Aviation Academy. **You can apply before you have completed the EASA Class 1 Medical examination, but it must be passed at least 1 month before the course start date. The total price for the education is NOK 950 000 of which you pay NOK 20 000 upon admission. The remaining sum is split into three payments, to be paid in advance for each semester. Each semester is 6 months. Swedish students can apply for the Swedish government’s loans and grants (CSN). Extra loan from CSN is available for additional costs, remember to save receipts for coming application. The loan from CSN covers living costs and parts of the educational fee to OSM Aviation Academy. Foreign students should contact their domestic student loan provider for an individual assessment. Dreaming about becoming a pilot?